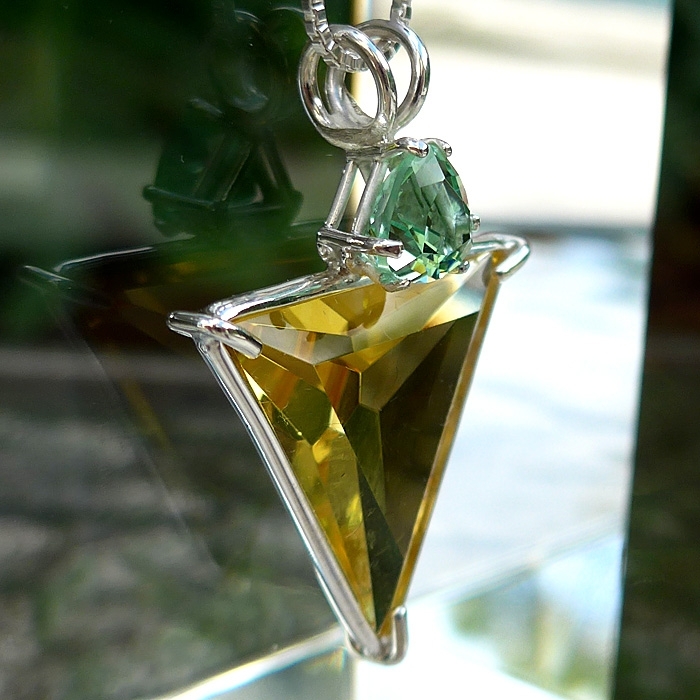 This beautiful water clear Siberian Golden Quartz Angelic Star Pendant with Tibetan Green Obsidian Trillion Accent Stone is set in sterling silver and comes with a simple sterling silver chain which will sit upon the thymus, between the throat and the heart chakras, where it will be of most beneficial resonance, and ships to you complete with its own velvet jewelry box. 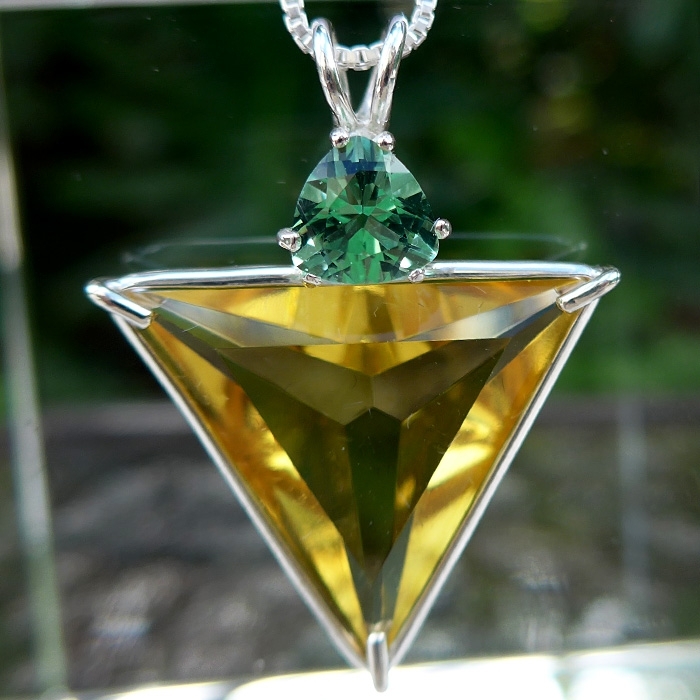 The combination of Siberian Gold and Tibetan Green Obsidian makes this pendant a powerful combination to assist you in accessing Higher Worlds, Higher Mind through the compassionate heart of Higher Wisdom. The Angelic Star pendant is cut according to principles of sacred geometry in the form of a six pointed star resembling angel's wings. 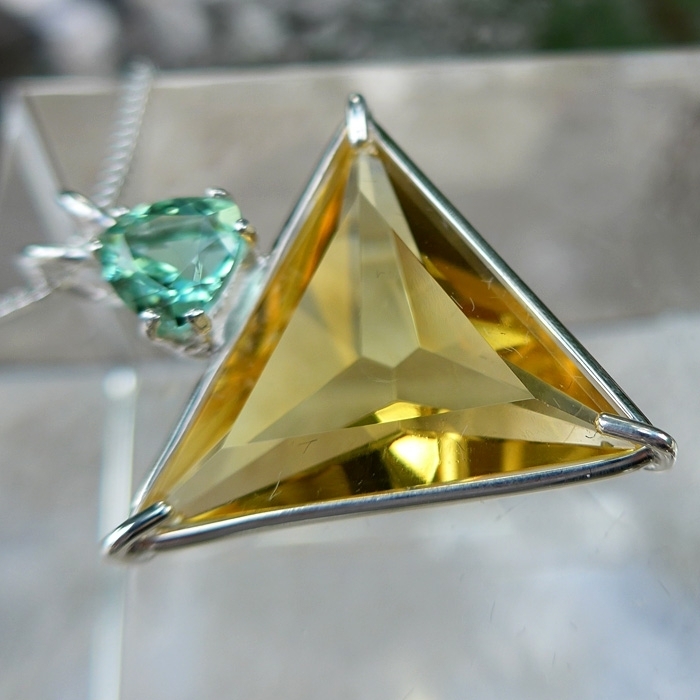 The Angelic Star pendant is designed to facilitate the bearer's connection with Divine Awareness, providing access to the Ancient Wisdom Teachings in the Universal Storehouse of Knowledge. Note: Weight above is shipping weight. Net Weight is 8 grams.